Over two boxes filled with letters and other materials written by Kate Coles from as early as 1894 up to her death around 1943 are owned by the University of Virginia and housed in Alderman Library’s Special Collections Department. 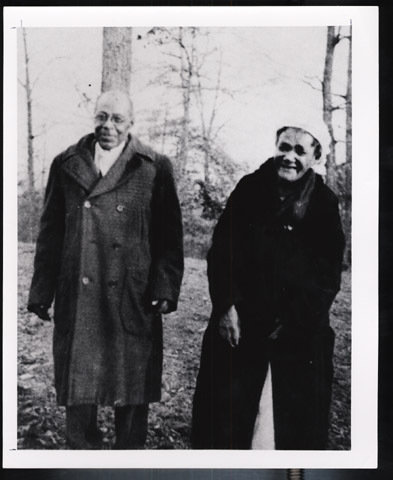 The letters indicate that Coles was born on January 7, 1857 as a slave at Gale Hill plantation in Albemarle County, where her mistress, Mary Terrell Minor, taught her to read and write. At some point—presumably after emancipation—Kate Coles and her husband, Jeff, moved to Proffit, where they spent the rest of their lives. The letters included in the collection were written mostly to members of the local planters with whom Coles had apparently developed on-going friendships. One exception to these (not provided below) is a letter dated 1938 with no recipient indicated. Kate Coles, then 80, wrote a meditation about her life and about her family and recounts some of the accomplishments and regrets she had experienced. There are no indications whether this letter was intended for a specific recipient or if it was ever sent. Other documents include an 1894 grocery list, and a 1936 memoir entitled “The Generations of Gale Hill” (the library version is a typed copy created in 1937 by E. C. Williston rather than the original hand-written document). This photograph of Kate and Jeff Coles can be found in the Special Collections Department at the University of Virginia library. The entire collection has been scanned and is available almost in its entirety online. The letters below provide a sample from the broad timespan covered in the collection. Click on the icons in the left column to open images of the original letters. 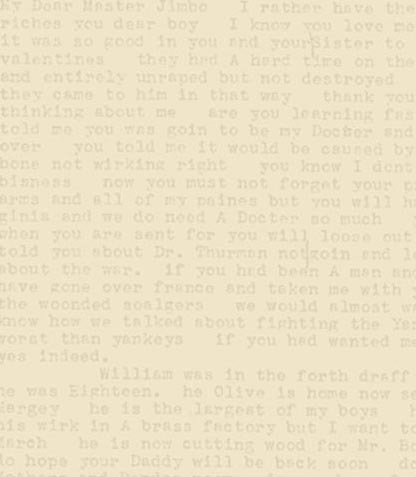 Click on the icons in the right column to find a typed transcript of these letters. Most of these transcripts included below are also part of the library-held collection. These were presented along with the letters when the collection was donated to the University of Virginia by Mrs. Henry Emerson in 1979. When transcripts were available for the letters sampled below, they were scanned in and are provided in the right column. For those letters that did not have an accompanying transcript, a text version is provided. The original materials can be found in the Special Collections Department at the University of Virginia library, Call numbers: MSS 10322, MSS 10322a, MSS 10322b, MSS 10322-c, MSS 5153-c 10417.